India’s left-handed opener SmritiMandhana has won the Rachael Heyhoe Flint Award for the ICC Women’s Cricketer of the Year. Mandhana was also adjudged as the ICC Women’s ODI Player of the Year. The announcement was made by the International Cricket Council on December 31, 2018. CA Kuttappa, a Dhronacharya awardee, took over as India’s new chief boxing coach during the beginning of the ongoing national camp, on December 10, 2018. He succeeds veteran boxing coach SR Singh, who has now retired. The 39-year-old, who was an assistant coach earlier, is credited with shaping some of the country’s most successful boxers such as Vijender Singh, M Suranjoy Singh and Shiva Thapa. The Army man said his elevation was High-Performance Director Santiago Nieva’s idea. India’s Vedangi Kulkarni has become the fastest Asian to cycle the globe. The 20-year-old Indian completed the 29,000 kilometers’ distance required to qualify as bicycling across the globe on December 23, 2018. Former India opener WoorkeriVenkat Raman was on December 20, 2018 appointed as the new Head coach of the Indian women’s national cricket team. The announcement was made by the Board of Control for Cricket in India. The 53-year-old will take over the role from Ramesh Powar, whose contract was not renewed after the controversies and fall-out with senior women’s cricket team player Mithali Raj. Raman’s first assignment in his new post would be the tour of New Zealand, which starts on January 24, 2019. Anup Kumar, legendary IndianKabaddi player and former World Cup-winning captain, announced his retirement from the sport with immediate effect on December 19, 2018, bringing an end to his 15-year-long career. Kumar, known to be one of the most efficient players, has led his team to victory on several occasions and contributed to the overall growth of the sport in the nation. After over 15 years of successful career in Indian cricket, Indian Opener GautamGambhir on December 4, 2018 announced his retirement from all forms of cricket. 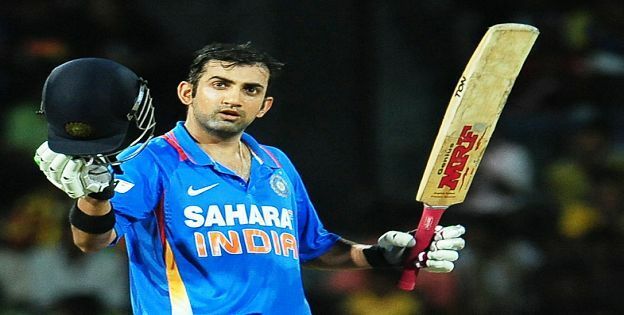 GautamGambhir was one of the most complete batsmen who opened well in all three forms of the game – Test matches, ODIs and T20s. He exhibited best in his innings between 2008 and the 2011 World Cup.